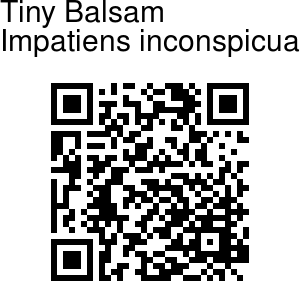 Tiny Balsam is a branched hairless herb. Leaves are nearly stalkless. They are elliptic to linear-lanceshaped, with pale underside and toothed margins. Flower stalks appear singly or in groups of several, shorter than the leaves, velvety. Flowers are whitish, tinged with purple at the base. Sepals are linear - lower one convex, without a spur. Capsule is oval, hairless. 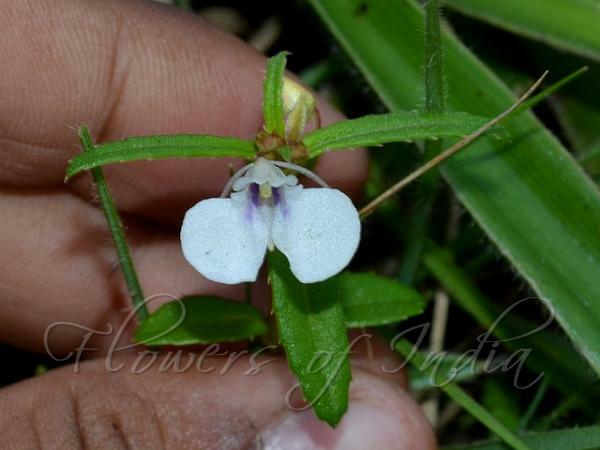 Tiny Balsam is found in rocky exposed places on the Nilgiri hills, and on the Western Ghats in general. The plant hardly noticeable, and quite variable. Flowering: October-November.